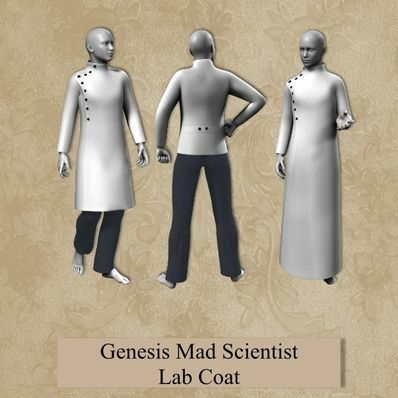 A Mad Scientist Lab Coat for Genesis for use in Daz Studio 4. Thank you, this is what I am looking for. Thanks again. Been looking for something like this! Thanks alot! Also reminds me me of a chef's tunic, kind of. Thank you.